James Stuart Duggan was born on January 14, 1954 in Glens Falls, New York. Hacksaw was a star athlete in high school, lettering in football, track, wrestling, and basketball. After leaving high school, Jim went to Southern Methodist University (SMU) where he played football. It was on a recruiting trip to SMU that Jim met Fritz Von Erich. Fritz took Jim on after college and trained him. Duggan also trained with Samoan wrestling promoter Peter Maivia, the grandfather of The Rock. Jim made his pro wrestling debut in 1979 against Gino Hernandez. Hacksaw has had a long career overcoming obstacles not only in the ring but outside of it as well. In 1998 he was diagnosed with kidney cancer and eventually beat the disease. 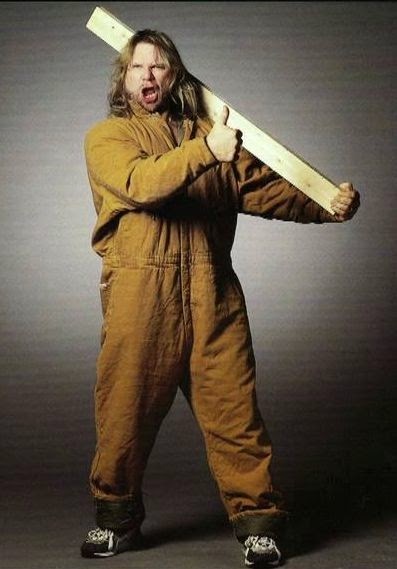 And Hacksaw has held several titles during his wrestling career including the IWA World Heavyweight Championship, the Texas All-Star Wrestling Championship, the Mid-South Louisiana Championship , the WCW United States Heavyweight Championship, the WWWA United States Championship and Hacksaw was the first winner of the WWF Royal Rumble back in 1988.